The latest @Xi News, product launches, announcements and more. ©1995-2002 CNET, Inc. CNET Review All rights reserved. 2.80GHz Intel® P4 & Xeon™ + Xeon™ MP Quad! Intel® is doing it again leading the single processor clock speed and remarkably the dual workstation class race with a Pentium® 4 and Xeon™ processor with a 2.80GHz part available now. The Xi® 4280 MTower™ SP, and the Xi® 5600 MTower™ DP, are the fastest CAD workstations, only @Xi Computer Corporation. More to the powerful workstations and servers we just introduced a Quad (FOUR) processor XEON™ MP with a remarkable iL3 Cache up to 1GB. That is, 4 CPUs with up to 4 GB on Level 3 cache and 1GB of Level 2 cache combined. The quad Xeon™ configuration is available as a 4U Rack mount or on our big NetRAIDer™ server case with 21 bays and up to 32GB or DDR RAM. Power to the max! August 21st, 2002- AMD® breaks the 2GHz clock speed barrier, celebrating the third anniversary of the award-winning AMD Athlon™ processor and announcing the world's highest-performing processor for desktop PCs, the AMD Athlon XP processor 2600+ (clocked at 2.13 GHz). (& 2400+ clocked at 2 GHz) Our Xi® MTower™ has already been tested by AMD Zone, as an absolute first with this processor, and compared to the Intel Flagship 2.53GHz with RAMBUS® 1066MHz. The results show AMD is taking back the lead of the price/performance CPU war and Xi is giving you a full choice of superior platforms to go with it. Buy yours today! Nvidia® Quadro™ 4 & Xi®, the workstation leaders! @Xi® has been selling Nvidia® professional video boards for a while and is now ranked the major tier-2 workstation manufacturer in the US, by Cadence Magazine. There is no better price/ performance leader than @Xi Computer, with its line of Dual processors Intel® XEON™ based and AMD Athlon™ MP based MTower™ workstations, using the Quadro™ 4 Nvidia video boards. Check our product section for your most powerful workstation ever! In the race for the fastest workstation we just introduced a remarkable configuration based on the top clock speed from Intel® and the 3D professional, Quadro™ 4 video board from Nvidia®. 533MHz Front System Bus is now the highest available with 2.53GHz top clock speed. To top it off our configuration is available now with the fastest 1066MHz RAMBUS® or DDR 333MHz PC2700 on the market. The Xi® 4253 MTower™ SP, with Intel Pentium® 4 @ 2.53GHz, DDR 333MHz or RAMBUS 1066MHz and the Nvidia® Quadro™ 4 900XGL, is the newest and fastest CAD workstations, only @Xi Computer Corporation. Check it out! One processor is not enough? Intel® is on the attack mode rising the clock bar speed for the dual processor too. The Xi® 4800 MTower™ DP, with two Intel XEON™ @ 2.4GHz, RAMBUS 800MHz, and the new 900XGL Nvidia® Quadro™ 4, is the ultimate dual processor CAD workstations, only @Xi Computer Corporation. Super price here! AMD Athlon™ MP 2000+, XP 2100+ , DDR333 & GeForce™ 4 are all here! March 13 2002 -The newest MTower DP Workstation line and NetRAIDer Server line employing the AMD Athlon™ MP processor at 2000+ Quantispeed™ technology and the AMD-760TM MPX chipset are now available. On the single processor front, the AMD Athlon 2100+ with the absolute industry first VIA Apollo KT333 Chip Set mother board sporting the fastest 333MHz DDR333 RAM is also available! A combination of higher CPU clock speed and 66MHz more on the memory bus delivers a quite remarkable performance increase at a fractional additional cost. Finally, the newest video boards based on Nvidia® GeForce™ 4 4400 and 4600 Chip Sets with 128MB DDR Video RAM are here now, an astonishing performance level never seen before! Check our product section for more info. Intel® Pentium® 4 @ 2.20GHz, DDR! Intel® has done it again introducing the fastest clock speed for a microprocessor. To add more speed to it, the new Pentium® 4 has a double cache size to 512KB and finally supports the i845D Chipset with DDR (Double Data Rate) SDRAM. At the forefront of technology Xi Computer is offering a very fast and very cost effective 2.20GHz P4 DDR now! The Xi® 2000+ MTower SP up to 1.667 GHz to a new higher performance level. We complement this speed demon with the newest ATA133 RAID controllers and the newest video board for your best in the relentless game for the fastest system. AMD Athlon™ XP 1900+ is here! The Xi® 1900+ MTower SP steps up another 100MHz in the relentless game for the fastest processor (at 1.600GHz internal clock speed). Considering that PC-WORLD found our Xi 1800+ to be faster than a 2 GHz Intel® Pentium® 4 processor from the competition, there is an easy answer to the question: "Which is the fastest?". While we will soon introduce a dual processor version (MP) of the 1900+, we complemented the newest Xi Mighty Tower with the nVidia® Titanium™ series, sporting 64MB DDR at 3.8ns for the Ti500. New frontier in performance today! For all our lines of Xi® MTower SP and DP workstations and PCs we now offer, at customer selection of very nice free software bundles (with computer purchase). The PC-WORK-SUITE provides all the tools necessary to be productive in an office environment including the ability to produce and read file formats compatible with other major word processors, database and spreadsheet. Many other interesting and valuable programs are included. A great value! To please another important segment of our clients we also introduced another free bundle for image editing and video processing. Great complement to the newest line of Audigy™ sound cards with included Fire Wire interface. Get your Digital Image Toolkit free with your next Xi Computer! Hot New AMD® 1800+ Athlon™ XP with Quantispeed™ is here! @Xi Computer Corporation is announcing immediate availability of the Xi 1800+ MTower SP. The Xi 1800+ is based on the newest and fastest AMD single processor Athlon XP (code named “Palomino”) processor, with a Quantispeed™ architecture of 1800+ (i.e. 1.533GHz internal clock speed), and some extra advanced instruction sets. The new “Quantispeed” architecture is aimed to work exceptionally well with the more powerful computational capability of the "Palomino" core, it is designed to equal or exceed the performance of the Intel® Pentium® 4 processor, that is currently available up to 2.0GHz. From our internal lab tests we found that the Quantispeed estimate of 1.8GHz par, is very conservative. Our Xi 1.533GHz Athlon XP based system, coupled with the newest VIA KT266A DDR Motherboard, is much faster than a 1.8GHz P4 and comes with a new Xi "Mighty Tower" case with front USB ports… We have them in stock now! 4.0GB DDR RAM for the AMD® Athlon™ MP Dual Processor! availability, up to 4GB (4096MB) of 266MHz DDR ECC Registered RAM for the AMD Athlon MP Dual Processor line. Unsurpassed price/performance levels can be achieved for power hungry users with this huge amount of DDR RAM. This mark another industry first by Xi Computer in the dual processor arena. Here today! Dual Processor Intel® 2.0GHz Xeon™ "Foster"
Intel® still holds the highest CPU clock speed record, also in the Dual Processor. The Xi MTower DP Xeon our fastest RAMBUS® based Xeon™ "Foster" system is now available at 2.0GHz. A full 4GHz dual processor capable is Here now! FASTEST EVER: 1.4GHz AMD Athlon! Newest and fastest AMD® Athlon™ CPU at 1.4GHz is in STOCK for prompt delivery from Xi Computer. The 1400MHz or 1.4GHz Xi® MTower™ is the top AMD available now, fastest than ever! With a 266MHz Front side bus and full support of DDR (Double Data Rate) SDRAM, the new AMD processor represents the TOP in microprocessor performance. Xi Computer offers the 1.4GHz Athlon both for its Workstation class systems as well for its NetRAIDer™ servers line based on the AMD Processors. Buy it now from Xi! AMD Athlon™ MP Dual Processor DDR is here! @Xi Computer Corp. today announced the MTower DP Workstation line and NetRAIDer Server line which employ the new AMD Athlon™ MP processor and the AMD-760™ MP multiprocessing chipset. The Xi MTower DP is a dual processor high-end workstations for CAD and Computational intensive tasks. The Xi NetRAIDer is a high-end line of Network Servers supporting both the Microsoft and Linux platforms. Xi Computer is validating a tradition of over 15 years of workstation excellence; with the support of AMD's new line of AMD Athlon™ MP processors. AMD's revolutionary dual processor Smart MP technology, with 266MHz point to point FSB architecture, is proving to be the winning solution for multithread CAD and number crunching applications. With strong workstation experience in all major CAD applications; Xi Computer is able to assure top level of compatibility and performance using the new AMD Athlon MP in the dual processor configuration." Xi MTower DP & Xi NetRAIDer with dual AMD Athlon MP processors are available for immediate delivery. Buy yours today! In this time of increasing costs we introduced a better shipping service from Federal Express using ground carrier. The service is capable of a good quality material handling and expedited deliverance even to the east coast. You can now get your Xi system in New Jersey for less that $ 55.00 shipping. And Xi does not charge sales taxes outside California. Due to the high rate of repeated loyal customers, and after a careful analysis of the cost of gaining a new customer versus retaining an old one, we decided to increase the repeated customer discount to 3%. Loyalty pays off! Dual Processor Intel® Xeon™ “Foster” 1.7GHz now available! Rack mount configuration. Get yours today from Xi! Several of our high-end customers are eagerly looking for more than 768MB DDR or 1.5GB SDRAM. While for DDR RAM we still are waiting the availability of the 512MB modules to break the barrier of 768MB for AMD® and 1GB for Intel®, the good news is that 2GB RAM is a reality on the Intel front. We have been shipping 2GB PC133 SDRAM on our Intel based MTower DPD for quite a while (1GB PC2100 DDR) but, quite remarkably, 2GB 800MHz RAMBUS® RDRAM is now shipping for P4 and Dual Pentium III. If you need all the RAM you can get, for your demanding computational tasks, you can buy it right now from Xi! Nvidia® GeForce 3 is finally here! We are proud to announce availability of the latest Nvidia based video board. The Nvidia GeForce 3. Coming with 64MB of DDR, TV-OUT and DVI interfaces, it will blow away every previous video gaming board on the market. Both the AMD® 1.333GHz and Intel® 1.7GHz CPUs are taking advantage of this great new video board, for the ultimate game PC or fastest CAD workstation. Check out our lowest prices ever in our product section. A fundamental change is shaping the PC industry: Intel® is seriously challenged by AMD® and both companies lower the CPU chip prices to “Potatoes chip” levels. Who will benefit from this? Our customers will, of course. RAM of every kind is following suite with DDR approaching SDRAM prices and RAMBUS® not that far away but still at a good double dollar per MB. The time to buy a new PC is now! Pentium® 4 1.7GHz -- The FASTEST Clock speed ever, is available now on our FASTEST CAD workstation Xi MTower SP. Intel would like your business and just reduced prices on the P4 at an incredible level. Check it out in our product section now! FASTEST EVER: 1.333GHz AMD Athlon! Surprise announcement for the newest and fastest AMD® Athlon™ CPU. The 1,333MHz or 1.333GHz Xi® MTower™ is the top AMD available today for immediate delivery. With a 266MHz Front side bus and full support of DDR (Double Data Rate) SDRAM, the new AMD processor is the uncontested king of the hill in microprocessor performance. Xi Computer is proud to offer the 1.333GHz Athlon to all his power hungry customers, both for its workstation class systems as well for its newly introduced NetRAIDer™ servers line based on the AMD Processor. Unsurpassed performance and cost effectiveness is the major strength of Xi and it is perfectly matched with the AMD Processors line. Contrary to the early delivery issue of the 1.2GHz at 266FSB, the faster counterpart at 1.333GHz is ready from stock. Bring home today the fastest PC & Workstation on the planet, form Xi Computer! In search for the fastest PC! Things change and things remain the same. Recently C-NET addressed the issue of the "Fastest PC". Who has the fastest PC? Well Xi Computer of course beating hands down all the biggest manufacturer in the world. The Xi DDR MTower SP based on the newest AMD Athlon 1.2GHz with 266FSB (Front Side Bus) with 266MHz DDR RAM, beats all the Intel P4 and other a like. See the chart for yourself. As of late one of the major problems of Intel architectures is that it has been limited in RAM expandability (512MB) or use expensive RAMBUS. We are now proud to have solved this issue with the offering of an industry first DDR Single Processor and Dual Processor system for the Intel Pentium III, raising the limit of RAM expandability to and 2GB of DDR & SDRAM for the Dual Processor PIII (1GB for the SP). Performance is also much enhanced with DDR (Double Data Rate) SDRAM at a fraction of RAMBUS cost. We finalize a great line of Rack Mount case options for our entire line of workstations and Network Servers. Both in a 3U & 4U form factor and a choice of Black or Gold color and single and redundant power supply. Front lock, filtered and protected access, with an elegant and professional look, distinguishes this new line of Xi Rack Mount line. On the server front the 4U rack mount option offers the capability of passive back plane with 4 Hot swappable drives to over 280GB U-SCSI-160 of space. A space saver 1U unit based on the dual Pentium III and Server works chipsets motherboards is also available at a very aggressive price. Our Xi® MTower SP equipped with the newest Pentium® 4 from Intel® Corporation is now available for immediate shipping, at clock speeds of 1.4 & 1.5GHz. performance for the high-end professional power user! The hot new Xi MTower SP workstations, equipped with the AMD 761 Chip Set Mother Boards, are now available for sale on our site. The most important innovative aspect of this new line is the adoption of DDR PC2100 Double Data SDRAM @ 266MHz Front Side Bus. Considerable performance increase is expected from this new architecture with minimal price differential against PC133 SDRAM and great price advantage against RAMBUS technology. Other interesting features of the DDR equipped Xi systems, are the availability of ATA 100 Hard Drive interface and expandability to 2GB of RAM. With a ATA 100 RAID controller option and 1.2GHz AMD Athlon T-Bird at 266MHz FSB, the Xi MTower will dominate the high end workstation market scene. Order yours today!" 1200 MHz AMD now Shipping! 1.0, 1,1 and now…. The 1.2GHz AMD Athlon CPU is available for immediate order on our award winning line of Xi MTowers! The Fastest ever, the AMD CPU clock speed is taking Intel by surprise. We have also introduced some other very interesting features in the AMD based MTowers, like, multiple drive availability with an ATA 100 RAID controller. Speed and disk space to spare at new and incredibly low prices. 2000 MHz Intel Dual Processor is here! On the Intel front, even if they are lagging behind in terms of absolute clock speed, we are able to deliver a dual processor based Pentium III with both CPU's running at 1GHz clock speed (2.0GHz combined clock speed). With the new lower price of RAMBUS at 800MHz and Ultra SCSI-3 160 at 15000 RPM, this newest Xi MTower DP makes it a great contender in the high end 3D workstation market. The ultimate 3D Video board for CAD NT & 2000 PRO workstation class, is finally shipping. With 64MB Video RAM and an almost double performance increase, from the already super powerful FIRE GL-1. Our line of Xi MTower workstations is taking the lead in 3D graphic's performance. 1.1GHz AMD Athlon is here! as well for the 1GHz AMD Athlon. The introduction of the AMD Athlon 1.1GHz with Enhanced Cache, at such an aggressive price, is a very strong statement of power, deliverance and value by AMD. Major industry standard benchmarks set our AMD Athlon based, Xi 1100K MTower SP at the absolute top of CAD, Graphical and Gaming workstation performance! This is an ongoing tradition for Xi Computer. Next generation AMD Athlon™ “Thunderbird” to 1GHz! Performance is the #1 priority here at Xi, and we deliver it big time with our new Xi K1000 MTower SP! We are currently delivering from stock, the new AMD Athlon, featuring advanced Socket A, “Thunderbird” technology for CPU speeds above 750MHz up to 1GHz! These new AMD Athlon CPU’s are using the latest 256KB “Enhanced Cache Technology”, on the die at full speed, as opposed to the “old” 512KB external L2 cache CPUs. The new "T-Bird" achieves an extraordinary performance increase of up to 30%, over the same clock speed of the external 512KB L2 cache of the Athlon “Classic” . We offer these new Socket A CPUs with the newest class of VIA based chipset motherboards featuring 133MHz SDRAM expandability to 1.5GB. Less heat, and noise (one only CPU fan is required), are among other improved qualities of the new T-Bird based Xi systems. RAMBUS on Intel based Xi MTower DP for the multithread AutoCAD 2000i ! With the arrival of the latest 800MHz RAMBUS technology at a very reasonable price, we saw the opportunity to offer the Intel based 840Chipset with RAMBUS in the Dual Processor configuration. The price/performance ratio is now quite favorable for these new DP based workstation class systems. AutoCAD’s New 2000i can now take advantage of the Xi’s hot new DP systems, as it is finally supporting dual processor multithreading. Greater performance is achieved utilizing both processors even in a single AutoCAD session. The band width of RAMBUS is now at the equivalent of 1600MHz using dual channel technology on the motherboard . Over all the new Xi 1866 MTower DP series (dual 933MHz Pentium III based) will top the performance chart for serious 3D and GIS applications. New generation AMD Duron™ to 700MHz ! The introduction the cost effective Duron™, also utilizing the advanced “Socket A” design, adds to the AMD CPU family. This inexpensive Duron™ CPU is targeted to the business and high end home segment of the market. The Duron™ is a fantastic performer for the money. Still using an L1 cache two way associative of 128KB, it has a 64KB L2 multiple way associative (The Athlon™ has a 256KB of L2), on the chip die at full speed. This cache architecture, while saving a lot of die space and therefore, very cost effective, delivers a very good performance level for interactive computational use, like business and light graphics. (The 256KB L2 of the Athlon™ differentiates the performance, in the number crunching use). Available at 600/650/700MHz increments it roughly matches the Intel Pentium III's clock speed, for a fraction of the cost. The pioneering spirit that invigorates the computer industry is exemplified again today, as AMD breaks the 1GHz frequency barrier. By announcing the Xi MTowerSP Athlon with support for the 1GHz AMD Athlon processor, we continue to enhance Xi's image as an undisputed technology leader in the consumer PC environment. With AMD focusing attention on the high-end commercial workstation market, Xi Computer is looking forward to a stellar year 2000. Xi Computer's customer base includes engineering, architectural, and government end users. And the company has enjoyed success in these market segments, due in part to the powerful performance of the AMD Athlon TM processor. “Xi Computer has been at the top of AutoCad workstation performance since 1992, and the superior architecture of the AMD Athlon processor is a must to keep our performance edge in today’s workstation market,"
Xi just got another CAD recognition award, using the new Single Processor 820 Intel “Camino” chipset motherboard sporting 133MHz internal BUS. The Xi 733 MTower SP got the best price/performance score in all 3D combined CADalyst tests including, AutoCAD, 3D Studio Max & ViewPerf (Open GL). While still using PC133 SDRAM vs. more expensive & less expandable RAMBUS, the Xi 733 scored close to the absolute top costing thousand of $$$ less. We also just introduced the newest dual Processor Capable Xi MTower DP133. Pure Workstation Class Power: up to 4GB dual channel interleave PC133 SDRAM, new AGP PRO 64 bit, 64Bit PCI 66MHz, super fast on board Ultra SCSI-3 160MB/sec. interface, with estimated performance gain from the SP133 version of up to 50%. We cite the Register.co.uk as: "In news from another internal Intel document, we learn that SDRAM is a good thing. A white paper Intel issued on the 840 says that the 82804 SDRAM based MRH can give bandwidth equal to RAMBUS." In staying away from RAMBUS we already knew this. ©1995-2000 CNET, Inc. CNET Review All rights reserved. AMD Arrives in the Workstation Market, at the TOP! systems based on it have earned 35 awards worldwide. The AMD Athlon(TM) processor began the Year 2000 winning a prestigious award from one of the microprocessor industry's leading technical publications. MicroDesign Resources, publisher of the Microprocessor Report, announced today that the AMD Athlon processor beat out the Intel Pentium III(R) Coppermine and the Motorola PowerPC G4 to win the publication's first ever Analyst's Choice Award for Best PC Processor. With 35 awards in hand since the product was launched in August 1999, the AMD Athlon processor is also the first AMD microprocessor to win multiple awards as a top-performing workstation processor. "The AMD Athlon processor continues to gain acceptance from computer manufacturers, businesses and end-users, as well as the trade press and analysts who cover the industry," said Larry Hollatz, group vice president of the Computation Products Group at AMD. "We are grateful to MicroDesign Resources for recognizing the AMD Athlon processors superior engineering design and performance. These awards come from a variety of publications around the globe, testifying to the AMD Athlon processor's worldwide appeal." The Analyst's Choice Awards recognize excellence in microprocessor technology innovation, design and implementation, and are chosen by Microprocessor Report's team of respected, independent analysts. The Microprocessor Report is published by MicroDesign Resources, based in Sunnyvale, California. In addition to the MicroDesign Resources award, the AMD Athlon processor also received a PC Magazine 1999 Technical Excellence Award in November at Comdex for Best Component in the hardware category, as well as nearly 35 other awards. “Xi Computer has been at the top of the AutoCAD workstation performance since 1992, the superior architecture of the AMD Athlon CPU is a must to keep our performance edge in today’s workstation market.”- @Xi Computer Corp.
“The Dell (DELL) Precision 410 with an Intense 3D Wildcat graphics card came in at 2.54, while the Xi system turned a score of 2.73 with a 3D Labs (TDDD) OXYGEN GVX1, and costs several thousands less” -- said Peter Sheerin, Technical Editor of CADENCE. “It (the Xi) achieved a score of 171 seconds on our CADMARK 2D AutoCAD test, besting the top score of 228 seconds in last month’s Pentium III workstation review, showing that very little compromise must be made when selecting and AMD (AMD) processor over a genuine Intel (INTC) Chip”. Xi's Athlon 750 MTower turned in phenomenally fast application scores-- in CNET Labs' tests. Logitech MouseMan, this PC comes equipped with all the right stuff. Xi Computer Corp., steals away the first place cup from the competition yet again. Not only was Xi Computer by far the best in the price performance ratio, it "produced top scores for our review in every category". Click here to read the full review. 700MHz AMD Athlon is here; Xi 650K MTower is the fastest AutoCAD workstation (one more time)! We are shipping the newest 700MHz AMD Athlon, and the November issue of CADalyst just gave the award for the FASTEST AutoCAD Workstation to our Xi 650K MTower SP, with 5 star rating. 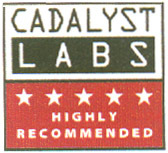 In this review we used the AMD Athlon 650MHz and an equally configured Intel 600MHz Pentium III processor for direct comparison. The Xi 650K (AMD CPU) was, up to, almost 50% faster… than the fastest Intel based (IBM & Xi too! ), and more than 15% faster than its closest Athlon-equipped competitor. Xi has been rated the best price & best performance of the all systems CADalyst reviewed and it features a great new Tool Free Xi MTower Case. What’s new? Xi is the uncontested leader of the CAD System market! And those of you who ask the most important question: “How much faster is the AMD compared to the Intel?” we can answer that (based on the CAD benchmark) at same clock speed the AMD is overall around 10% faster. Now the lead is in favor of AMD considering clock speed, price & deliverance, taking into account that Intel just announced the 733MHz with 133MHz BUS, while AMD is now delivering the 700MHz and talking about 750Mhz soon. Stay tuned for more details on the review, new Intel products and the exciting new “war of the CPU clock”. Of course you can always get the latest and fastest technology from Xi Computer Corporation, the CAD workstation leader! For many years Xi has been a sole supporter of the Intel Architecture. After careful research, Xi’s R&D Lab is pleased to endorse the AMD Athlon platform. There are some very unique features that make the AMD Athlon the fastest available processor to date. So… by "popular demand" and educated choice, Xi is glad to offer the AMD Athlon to you, with our tradition of top performance and reliability. Our New Xi Athlon MTower SP comes in four different clock speed: 500, 550, 600, & 650MHz with a 200MHz Front-end Processor BUS (CPU to Chipset), 128K L1 two way associative Cache and 512K L2 Cache. It supports the newest Ultra ATA-66 Adaptec EIDE interface and has the New enhanced 3D NOW instruction-set specifically designed for graphics & 3D applications. Our Xi Athlon MTower SP is built with our new line of Tool Free Cases (no screwdriver needed to open) which supports 7 bays and comes with a 250W Power Supply. In keeping with Xi Computer’s tradition for unsurpassed speed, we are offering it with the fastest PC 100 MHz SDRAM. How fast it is? Well, the 600 & 650 are both faster than the Intel 600MHz systems with comparable configurations at a very attractive price. 600 MHz Pentium III processors are now available in both single and dual processor configurations! For the ultimate in speed put 1200 MHz worth of Pentium III power under the hood of your Xi MTower DP system. The Xi MTower 600 received the highest marks in the overall score for a PC Workstation in National Standards Testing Laboratory's testing of the Xi MTower for Business Week Online. (read review) It received a 24.9 overall score, the highest in the review, with the average being 15.2. The overall score takes into account many factors, including usability, features, and performance. It also received the highest performance score of 4.3, nearly double the average of 2.2. The Xi NetRAIDer is "first place in overall performance" in the PC World review of more than half a dozen Pentium III Xeon servers. (read review). "Xi placed first in SQL test", "but it really distinguished itself in the File Service test, beating out its nearest competitor by more than 20 percent." The choice is clear, for the ultimate server, in performance, reliability, "good security", and "plenty of room to upgrade". The Xi NetRAIDer is the only way to go. Xi Computer's MTower workstation turned in the fastest 3D Studio Max scores, edging out the nearest competition by 16% in tests conducted by Cadalyst magazine. (read review). The choice is clear: for ultimate 3D performance the Xi MTower stands out as the clear winner, both in performance and price. Continuing Xi Computer's early adopted Linux support, we have announced the addition of two optional factory installed software packages. The first, KDE (K Desktop Environment), is a superbly versatile graphical user environment for Linux. Take a look at some screen shots and learn about some of its features by clicking the link above. The second, Redhat Secure Webserver, based on Apache. It is an excellent solution for e-commerce and other mission critical web servers. Three new graphics card are poised to push the Xi Computer CAD workstations to the next level. The new Diamond Fire GL1 card, with a 256 bit (an industry first), multi-threaded, IBM graphics subsystem. 3DLabs' Oxygen GVX1 and VX1, featuring the 3DLabs Glint R3 graphics processor. Both include build in support for the Pentium III processor instruction set, increasing speed ever further on Pentium III systems. The Matrox Millenium G400 has excellent 2D/3D performance for a low price tag. The Intel Pentium III 600 MHz & Intel Pentium III Xeon 550 MHz is now ready to be shipped with servers and workstations. 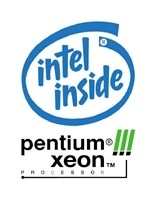 For your top of the line performance needs, look no further than the Pentium III Xeon line of processors. With the Katmai enhanced multimedia extensions of the Pentium III and the larger, full CPU speed cache of the Xeon, this processor is the ultimate for servers and workstations alike. If you'd rather have the Linux operating system instead of a Microsoft® Windows® operating system, Xi Computer Corp has made it easier than ever. We are the first to offer Red Hat Linux in lieu of Windows upon request with new machines. Linux's popularity is sky rocketing, and Xi has taken the initiative to provide this powerful, open source, freeware operating system with new machines. So go ahead, dare to be different. Pentium III 600 MHz NOW Available. 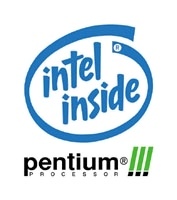 Intel is in the process of releasing its Pentium III processor, featuring the new Katmai enhanced MMX instruction set. This includes enhanced 3D capability, and a bigger L1 cache (64K). Xi does have limited production quantity for those of you that need the fastest CAD speed NOW! The Fastest is getting Faster! The Pentium III Processor is available with the Xi MTower dual processor capable system and the Xi MTower single processor only systems.